Digital disruption is growing, But so is the motivation of shopping centres and their retailers to boost consumer engagement in new ways. To stay relevant in a world increasingly skewed to e-com, shopping centres and their retailers are bridging the gap between in-store and online shopping with new ways to attract and keep customers. The move is showing up with m-commerce (mobile commerce) and direct-to-consumer apps that allow brands to capture customers’ attention, both online and in store. Mayfair Shopping Centre GM Laura Poland says its retailers are incorporating technologies that mimic online shopping, because when it comes to finding and paying for products, in-store shoppers expect the ease and facility of the online experience. 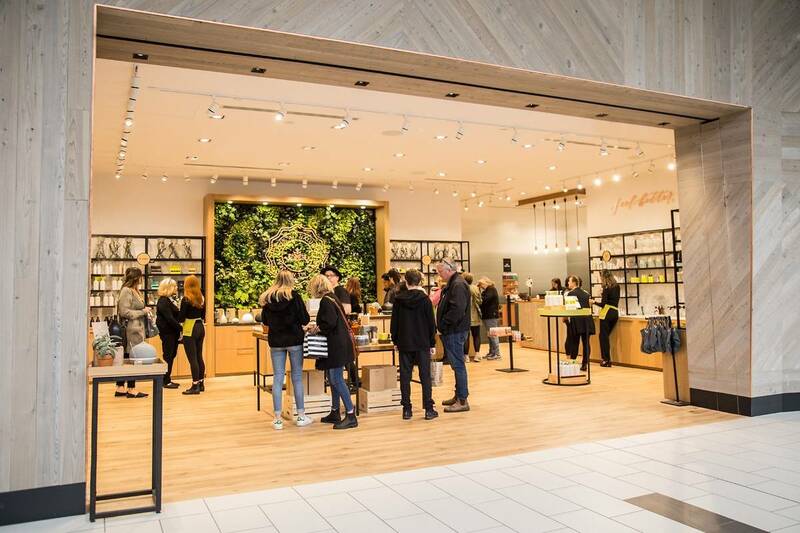 To further attract and hold customer interest, shopping centre retailers are also focusing on creating what, in retail speak, are called consumer engagement spaces. “What we’re seeing now locally, and in North America, is really just the start of what we expect to be a very fast evolution of the retail industry,” says Poland, who quarterbacked Mayfair Mall’s recent $72-million overhaul. Along with seeing and trying products in-store, consumers will soon also be able to pay at an automated kiosk and have their purchases shipped directly to their homes. Text-ahead reservations will be common to avoid line-ups at service-based stores — and in-store WiFi, selfie stations and refreshments will be popular. Darlene Hollstein, GM at The Bay Centre, points to the in-store tea service provided by Michel Negrin at its new store at the shopping centre. For the first time in history, the consumer market includes 6 generations of shoppers.